Almost 80% of consumers make payments in cash despite the wide range of other payment options available, according to the U.S. Consumer Payments Outlook Through 2020. Thus, having easy and convenient access to cash is more important than ever to your employees. In fact, the Federal Reserve reports that 1/3 of all consumer transactions are less than $10. And, two-thirds of these are paid in cash. With today's increasingly demanding lifestyles, time is an overwhelming factor as employees must coordinate the kid’s carpool, off-site activities, as well as running personal errands, grocery shopping and preparing meals — and then getting ready to do it all over again the next day. ATMs At Work = WIN. WIN!! Access to a convenient ATM is vital for your busy employees. Having an ATM at your workplace provides a MAJOR benefit … and it generally costs the company little to nothing for this tremendous employee perk!! A bank or credit union-branded ATM or an Allpoint ATM on-site not only provides your employees with the convenience they want but surcharge-free transactions as well. An Allpoint ATM provides surcharge-free access to employees who bank with over 1400 of the leading U.S. financial institutions, as well as some of the top paycard providers. 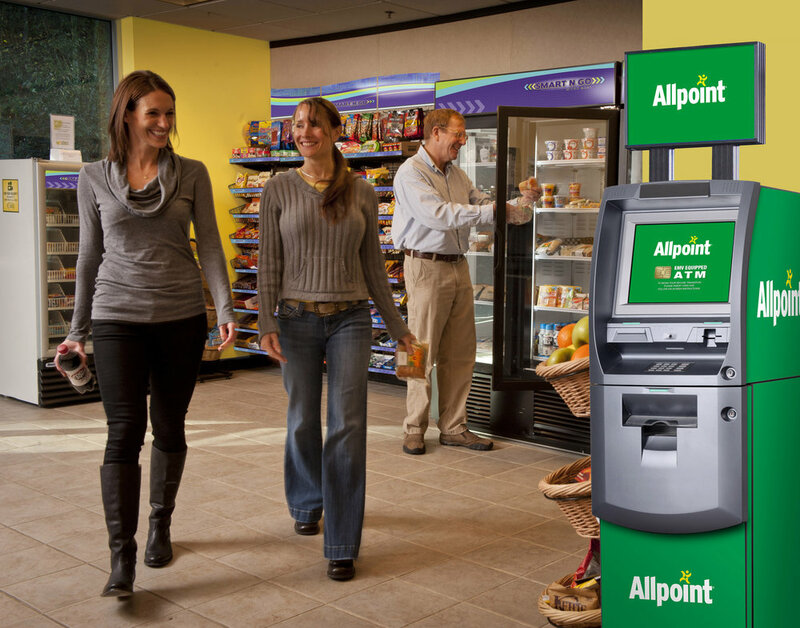 Your employees who bank with Allpoint network member financial institutions can use the ATM at work as often as needed with NO FEE. That's right – there’s no fee at the ATM or from the bank. All that is needed is an electrical outlet, and a secure, convenient place to house the ATM at your workplace. With an ATM at work, you can help provide a solution to the cash needs of your workforce and place their focus where it can best be utilized – on work. Is it any wonder having an ATM at work for employees is one of the hottest new benefits HR directors are offering?